« BP Doesn’t Want You to Film Them, OK? Feeling harassed, harangued, misunderstood? Having trouble remembering your rights? 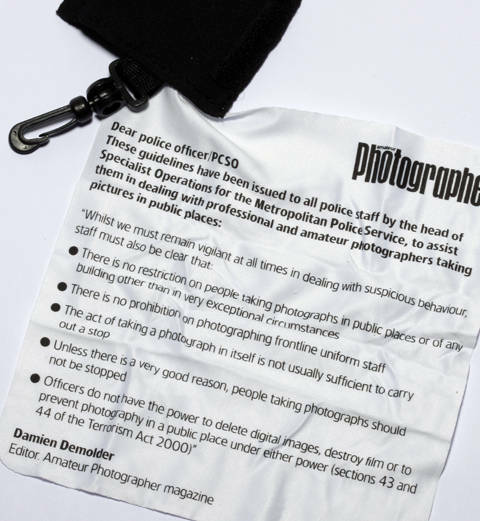 The UK magazine Amateur Photography is giving away this handy printed lens cloth with the July 6th issue.